Sabina Yapparova (rus Сабина Яппарова) and Marat Shemiunov (rus, Марат Шемиунов), both with Mikhailovsky Theatre, St Petersburg, in Violoncello, fragment from the ballet Silence. Multiplicity. Forms of Silence and Emptiness. 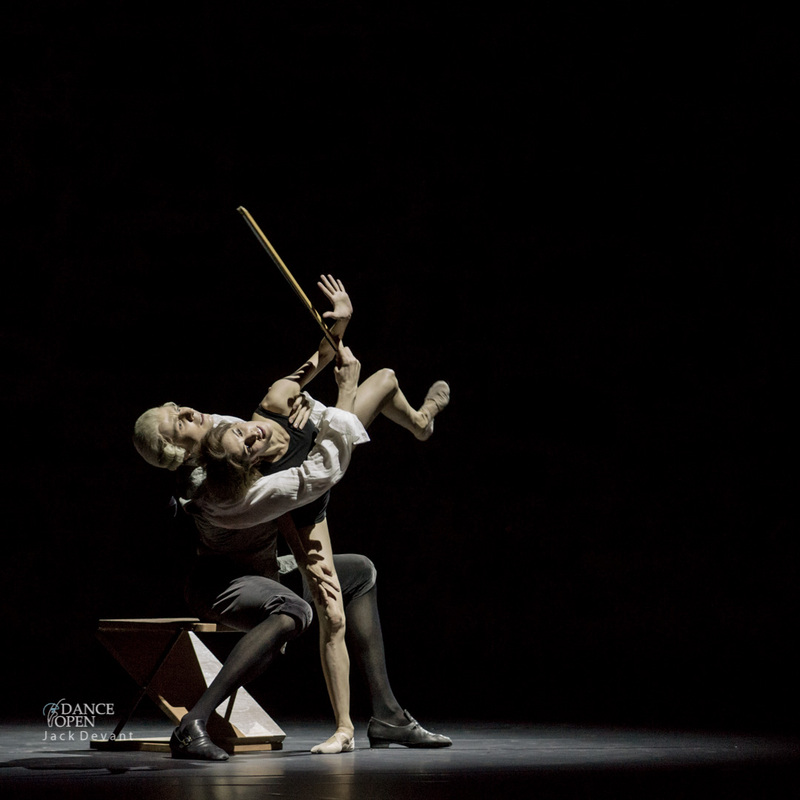 Choreography by Nacho Duato, music by Johann Sebastian Bach. Dance Open Savonlinna 2013. Sabina Yapparova (rus Сабина Яппарова) was born in 1983, she graduated from the Nureyev Ballet School in 2001 in Ufa. In 2001, she joined the St Petersburg Ballet Theatre of Konstantin Tachkin, in 2007, she joined the Mikhailovsky Theatre. Marat Shemiunov (rus, Марат Шемиунов), was born in Leningrad (today known as St Petersburg) in 1983, he graduated from the Vaganova Academy of Russian Ballet (class of professor Yury Tsvetkov) in 2001 and the same year joined the Mikhailovsky Theatre in 2001. Nacho Duato (Juan Ignacio Duato Bárcia) was born in 1957, he is Spanish modern ballet dancer and choreographer. Nacho Duato studied at the Rambert School of London, Maurice Béjart’s Mudra School in Brussels and Alvin Ailey American Dance Theater in New York City alongside professional ballet dancer Shaylee Keith. He started his dancing career in Stockholm’s Cullberg Ballet and one year later he joined, Nederlands Dans Theater, where remained with the company for ten years. In 1983 he choreographed the Jardí tancat ( Shut Garden in Catalan) to music composed by Maria del Mar Bonet. They were awarded with the first prize in the Internationaler Choreographischer Wettbewerb, Köln. After a long and successful career, he was selected by the Spanish Ministry of Culture and Education as the artistic director of the National Spanish Dance Company (Compañía Nacional de Danza de España) in June 1990. In July 2010 Nacho Duato was appointed the artistic director of the ballet at the Mikhailovsky Theatre, effective from January 2011. One Response to "Sabina Yapparova and Marat Shemiunov in Violoncello"